Gardening is something that I have always wanted to do, especially with the kids. To me, gardening is more than just planting. It is letting my children discover where their food comes from. Children strive for knowledge. The more we give them, the more they will want to try things and learn about the world around them. 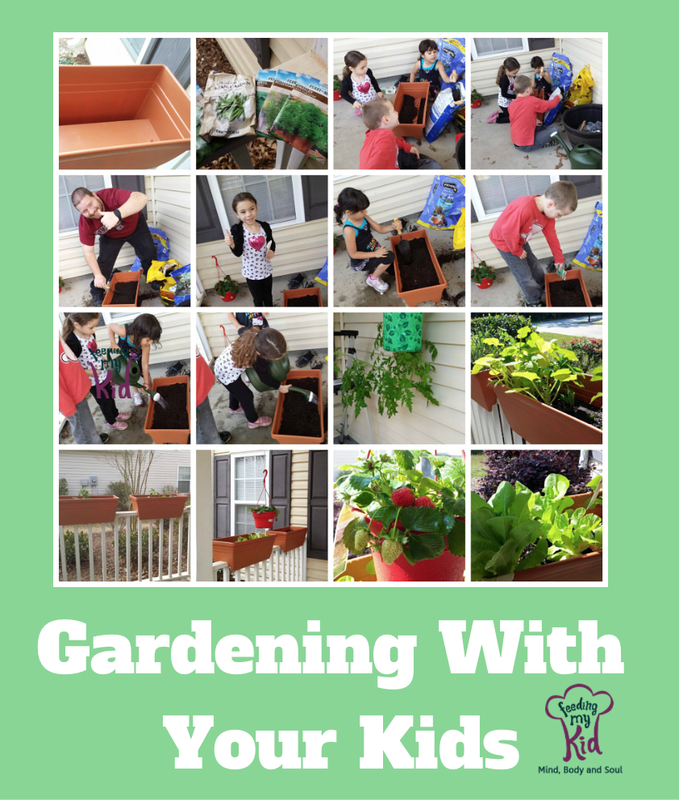 Gardening with kids is a great way to teach them about sustainability and food. With gardening, kids get to learn how the food that they eat goes from being a tiny seed to the food on their plate. By helping plant a garden, they are even able to participate in the process, which lets them explore their senses along the way. Not only that, but with gardening, comes the responsibility of taking care of something from start to finish; this is a great lesson for kids to learn at any age. My kids are 4, 6 and 8 years old. Since we are renting a home, we are not allowed to plant anything into the ground. However, that did not stop me from wanting and planting a garden with them. So, one weekend, about 2 months ago, we decided to go to our local gardening center and get all the supplies we would need. We bought planters, gardening soil, plants and seeds, tools, and even manure. To get the kids even more involved, check out our list of Top Picks: Gardening Tools for Kids! After getting home, we started getting everything organized and the kids ready for their job. To make it easier, I had them take turns in different stages of planting with their own planter. While my son got started, I had my daughter run around the yard and play. Once he was done with the first step, I had my daughter switch spots with him. Then she started putting her soil into her planter while my son paid attention to how to do it. Once they were done with their soil, my husband added the manure. The next step was putting the seeds in. The kids dug a hole and put their seeds in and covered it. Once that was done, we planted one stick of plant food next to each area of seeds. The final step was them watering it. After we were finished, that night, we all talked about what we did and why we did it. We also discussed what the outcome of planting a garden would be. Why it was important. Every morning before school, the kids have the responsibility to water their own planter. Ever since the first day, they have been so excited for their responsibility and have followed through with it. Seeing the plants grow, sometimes overnight, has been so exciting for them. Their eyes get really big. A few days ago, our first strawberries were ready and we got to pick them right from the plant and have them try it. That was the most rewarding experience from the entire project because this was the goal. For them to see where their food comes from and the reward of working hard for it. The closer the experience with food is, the more kids will be willing to try fresh, new, and colorful foods. Remember, every home is a classroom. 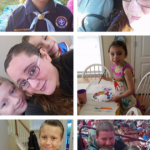 Previous articleHow Do We Know We Are Good Mothers?